JERSEY CITY, New Jersey -- The family of a seaman whose quick actions aboard a lifeboat are credited with saving passengers during the Titanic's sinking gathered Saturday in New Jersey as he finally received a headstone on his grave, nearly 75 years after his death. Titanic enthusiasts joined members of Robert Hopkins' family at Holy Name Cemetery in Jersey City as a black granite headstone bearing his name was unveiled and blessed. Hopkins' body has rested in the unmarked grave since his death in 1943. His act of heroism on the night of April 14, 1912, has been long forgotten, except by those who closely study the Titanic's ill-fated maiden voyage in which 1,512 of the 2,225 passengers and crew died when the ship sank in the icy North Atlantic Ocean. The able seaman was asleep in his bunk when the Titanic hit an iceberg. He was assigned to help load and launch lifeboats, which could only handle 1,178 people. 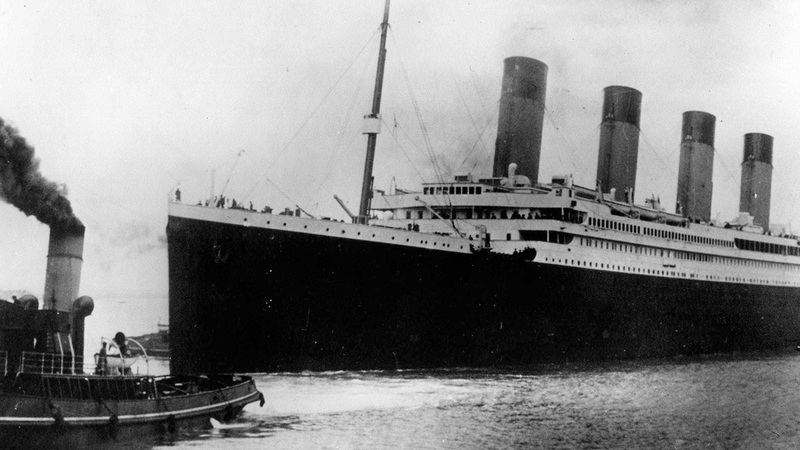 First Officer William Murdoch, who was on the wheelhouse when the collision occurred, ordered Hopkins to board Lifeboat 13, which was carrying many third-class passengers, said Titanic International Society co-founder and president Charles Haas. Hopkins' boat was lowered below Lifeboat 15, which was descending. It looked as though Lifeboat 15 would land on top of Hopkins' boat. "Hopkins, from what we've seen, called up and told them to stop lowering. He and another crew member went to work with a pen knife to cut the ropes," Haas said. "If Hopkins had not done what he did, 13 and potentially 15, would have been lost." After his rescue, Hopkins returned to sea and later became a longshoreman in Hoboken, across the Hudson River from the pier in lower Manhattan where Titanic was supposed to have docked, according to the Titanic International Society. When the society decided to hold this year's annual convention in Newark, it made arrangements to visit Holy Name Cemetery, where Hopkins and four other survivors - including two who were aboard Lifeboat 13 - are buried. The group mentioned that the grave of the native of Belfast was unmarked. Andrew P. Schafer, executive director of Catholic Cemeteries, said the group offered to provide a headstone at no cost.